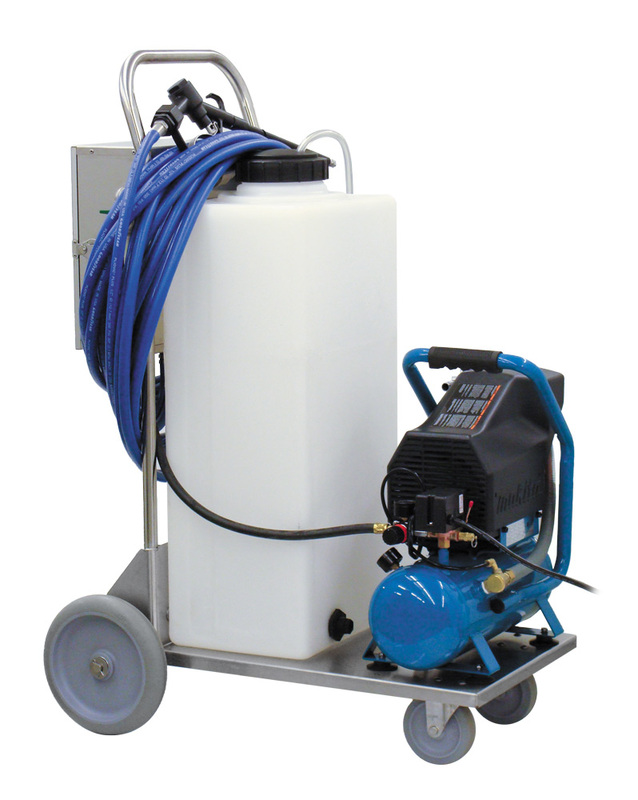 Portable 20 Gallon PD Precision Foamer | Lafferty Equipment Manufacturing, Inc. The Portable 20 Gallon PD Precision Foamer is a low volume foam applicator that is ideal for jobs where precision application and tight control of overspray are required such as for cleaning restaurant hoods and vents. This unit features an all stainless steel cart assembly and on-board 110V air-compressor. An air-operated, double-diaphragm FloJet Pump draws ready-to-use chemical from a the 20 gallon tank and injects compressed air to create rich, clinging foam which greatly increases volume and coverage ability. The foam is then projected through the discharge hose, trigger gun and fan nozzle.